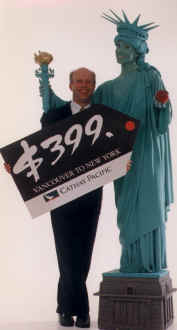 Statue of Liberty entertainer will make your advertising campaign shine above the huddled masses as Living Liberty's beacon of creativity will show them the way! Are you selling a product or service designed to give consumers more freedom and independence in their lives? Who better to serve as a spokesperson for your campaign than Living Liberty herself?